Some years ago in El Puerto de Santa María, we had the idea of founding a company to share with guests the magic and beauty of South West Spain. 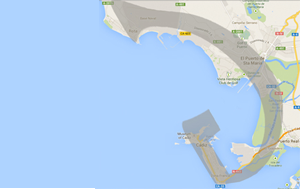 El Puerto, as it’s locally known, is a town located on the Atlantic side of Andalusia, halfway along the bay of Cadiz. 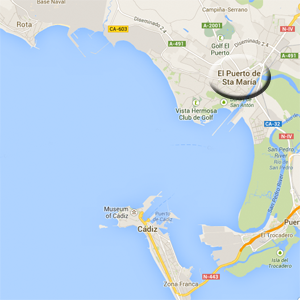 We wanted to offer genuine experiences based on the culture, gastronomy and nature of this bay and the surrounding areas. Andalusia is a part of the world that many people visit but they are rarely offered the possibility to see and experience beyond the tourist spots. We felt responsible for providing visitors with a quality service to discover the wonders of our homeland from a local and respectful perspective. We thought of Genuine Andalusia as a name because authenticity and Southern Spain were the two concepts describing our mission best. Then we faced the challenge of designing a logo. is the first letter of the word Genuine. It has a round line that folds in twice. This results in an area difficult to reach from the outside, like the ones we like to share with our guests. This area is also sheltered by lines, like the waters of the bay of Cadiz are sheltered by land. After finding this common shape, we decided to place a big capital G in the middle of the ocean facing the bay of Cádiz, to see the reaction of both the bay and G. G seemed to look at the bay of Cadiz with indifference and the bay looked at her with a challenging gesture. So we decided to move G down a little and tilt her a bit. She then looked at the bay of Cadiz with admiration and the bay looked at her with a welcoming expression. Suddenly they saw their images reflected on each other. The bay of Cadiz then remembered its Phoenician and Roman ancestors, who named its capital city Gadir and Gades respectively. And G gained a new value for us. Apart from representing genuine undiscovered places, it became a symbol of the bay and of the history of Cádiz, definitely our favorite region of Andalusia and the origin of this project. 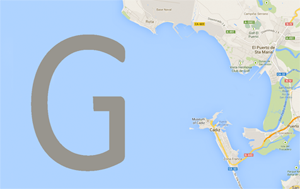 We then decided to merge G and the bay of Cadiz into one symbol by reversing the first. This union gathers many values of our mission and represents the geographical area where it started. 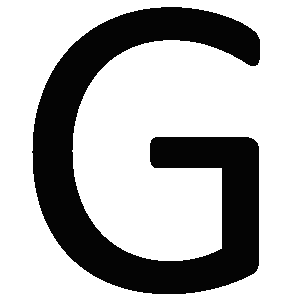 G as in Genuine. G, the letter that treasures a hidden and protected spot inside its folded lines, like the most beautiful and authentic places and traditions of Andalusia are naturally sheltered by its people and by centuries of colorful history. G, as in Gadir and Gades, the city that gave its name to the bay where we developed a responsibility and a motivation to show you Genuine Andalusia. Bienvenido. Jeje. ¡Gracias a tí por leernos! ¡Nos encanta trabajar contigo! Un abrazo muy fuerte.